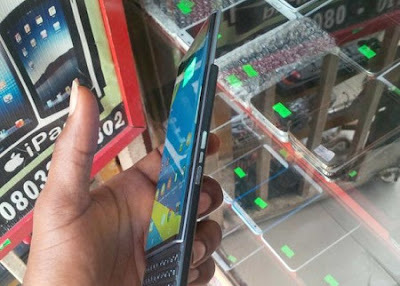 London-used phones are a huge item in the Nigerian market as a majority of budget buyers tend to prefer them to not just brand new items but other fairly-used items. It is believed that these fairly used phones from London are affordable, very durable and can perform as well as brand new. Surely, a London-used smartphone can save you some money, still, buying a used smartphone means you have to do your due diligence. Warranty is usually out of the question when it comes to London used phones. The phones have been used by a previous owner who is not in the same location as the new buyer and so, even if the warranty issued by the company it was originally purchased from is still valid, the new owner cannot take advantage of it. This means that the new owner cannot return the phone if they discover a factory damage or encounter technical issues. Most London-used mobile phones are locked when sold in Nigeria and aside from money spent purchasing the device, the buyer has to pay to have the phone unlocked before they can use it to make and receive calls. While mobile unlocking is highly popular within the used mobile phone market, before a purchase is made, it is necessary the buyer understands exactly what unlocking is all about. The truth is that there is a high chance the London-used phone you intend to buy is a stolen product. Hundreds of smartphones are stolen and then shipped to foreign countries where they are sold to unsuspecting customers. It would be tragic to buy a phone only to discover that it has been reported stolen and being tracked when authorities come knocking on your door. Always ensure you get a receipt when you make purchases. It is difficult to find a London used phone that is sold with its accessories. Usually, you find out that after making a purchase, you also have to buy the charger separately, then the earphones and other items that may be unique to the device. This extra costs when added up, sometimes makes the cost margin between the London-used phone and the brand new phone very slim. While the physical appearance of these London used phones are usually great, they sometimes have internal problems that affect functionality or ensure that they develop issues in the future. So, even though everything may work correctly upon purchase, they may not last.